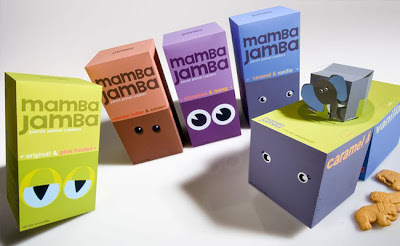 "Mamba Jamba is a new kind of animal cracker that pairs two fun flavors, like cinnamon and honey together in one box! 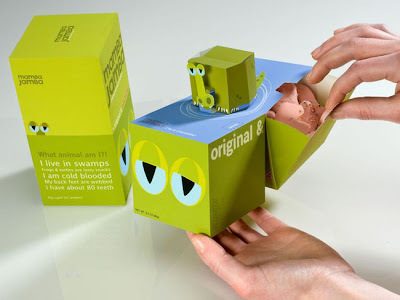 The cookies are packaged in two separate compartments that flip open to reveal a pop-up animal!" 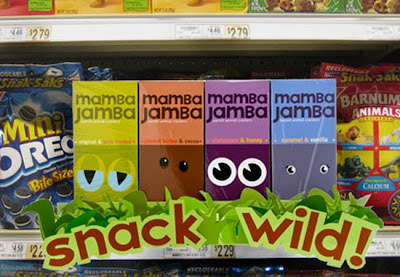 Those snacks have a very original package that I consider the most original I have seen in my life. More than a package, it seems an art work.